202 Pcs. 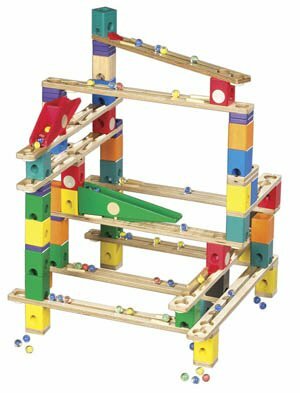 Oppenheim Toy Portfolio Platinum Award 2006 The Rail Set is much more substantial with 67 pieces and can be a good choice for a child already doing lots of building. 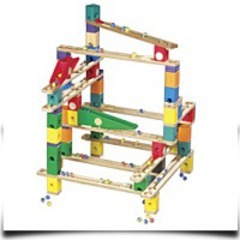 This set consists of 13 wood tracks in three sizes, 40 blocks in nine colors, 35 rings in 2 colors and 5 shapes, 5 track plugs, two types of accelerators, a switching bucket and a teeter totter.